Passport application is now being done online for you to get an appointment. No appointment, no entry! But through experience, I learned that there are certain people who can apply for new, renewal or lost passport with no appointment and can be done in less than an hour. Where? At the Courtesy Lane. NOTE: Please read this post carefully before posting your questions or anything. I have not experienced applying at the Courtesy Lane personally. Everything that I posted here were just based on what I have seen and learned when we had our passport validity extension at the DFA ASEANA. Just wanna share this to every single Juan who is not aware that the Courtesy Lane exists. Note: In case you don’t any of the above mentioned IDs, try to call DFA hotline and ask about it. NOTE: NO NEED to bring ID pictures because picture taking is being done in a digital way, like in getting an NBI Clearance or SSS ID. Use Gate 3 across Mcdonalds and show your GSIS ID or government ID. Walk straight to the building, get inside and go upstairs using the escalator. Present your ID to the staff on the counter beside the Area 2. Fill-out the passport application form and return it to them. Follow their instructions of what to do next. The queue in this area is shorter and the processing is faster compared to the ground floor, where scheduled applications take 2-3 hours. Disclaimer: I am not connected in any way at the DFA ASEANA. So if you have questions that have not been answered by this post, PLEASE CALL THE DFA HOTLINE FOR ANY INQUIRIES. Thank you! If you already have your GSIS ID, the better but you can use your company ID since you haven’t got the former. Bring additional valid IDs like PRC license, drivers license and NBI clearance with you. My father is a govt employee (DSWD). aside from the passport renewal you mentioned above, what are the other necessary requirements for the courtesy lane? Should my father accompany me? or i just have to bring his ID as a proof? By the way, you can enter at Gate 3. Good luck! My mother is a government employee and she will accompany me in renewing my passport, however, we are not sure if there is a courtesy lane in DFA Pampanga so we decided to go to the DFA ASEANA, will that be a problem? My renewing my passport in not the similar DFA office? And will they only accept courtesy lane liners in the morning? how long will the waiting days be po before they release the passport? hi, my husband is working in Clark International Airport, him and our 2 kids need to have passports right away, can my husband together with our kids could walk-in? Yes ma’am, your husband together with your kids can apply for a passport at the courtesy lane. Make sure to apply in the morning because they do not accept applicants after lunch. Prepare all the necessary documents for passport application. Original and photocopies should be provided. You can also download the application form on this post, print it and fill it out. It will take 15 days for the rush processing. Thank you very much G-nang! Somehow, you were able to lift the worries off my shoulder 😀 Wish us luck on Tuesday! we’ll be going there then. 🙂 Thank you really and continue helping other people with your blog 😀 God Bless! hi, my husband is working at Clark International Airport,he has GSIS ID and company id as well, him and our two kids need to have passports right away, can he together with our kids could walk-in? I’m currently working in a Local Government Unit here in Cavite as a CASUAL employee. I have with me my GSIS ID. Am I entiltled to use the courtesy lane? Hi! How many days will it take to renew my passport using the courtesy lane? I am having a headache thinking of having it on or before May 17. Upon inquiry, passport renewal takes 35 working days before it will be released… Please help…. It will take 10 days for releasing of renewed passports at the DFA Courtesy Lane since it is expedite processing (rush). Hope this helps! Hi, Ms. G-nang. Thank you for taking time to reply. I am a public school teacher in Quezon Province. Four of the 2010 Metrobank Outstanding Teachers will have the opportunity to a month study scholarship in Australia. Comments and your enlightening replies give me hope so as not to miss this rare privilege. Keep up the good work! Do I need to set an appointment before going to DFA Courtesy Lane? As they say, DFA guards will not allow applicants without appointment. I am set to apply for passport renewal on Monday. Thanks a lot and God bless! No need for appointment when you go to the DFA Courtesy Lane. Use Gate 3, which is across Mcdonalds, show your GSIS ID (if none, use your school/company ID) to prove that you are a government employee. Walk straight then enter the building with the glass door and take the escalator to the second floor. I hope you already printed the DFA application form before heading to the office. 😉 Good luck and hope to hear from you again! Thank you so much for your help. You are indeed a blessing…. Please keep up the good work for in due time, your work will be rewarded! May the Lord bountifully bless you in return! Unfortunately.. no. 😦 Since you are no longer working for the government, you are not entitled to this benefit. Hi Ms. G-nang. My mom is a senior citizen and my sister is only 17 years old. My mom needs to renew her brown passport while my sister is going to apply for a passport. Do they still need to set an appointment before going to DFA or they can both use the DFA Courtesy Lane since she is a senior with a minor child? Also, my brother needs to renew his passport and his daughter’s passport who is only 7 years old. Do they still need to set an appointment? My brother is not married to her daughter’s mom. Thank you and God bless! The DFA Courtesy Lane, as far as I know, entertains Senior Citizen applicants for passport processing. Since your sister, who is minor, needs to be assisted or accompanied by your mom, I think both of them can apply for new & renewal at that lane. Regarding your brother, it would be best if he and his child would set an appointment for they would not be entertained at the Courtesy Lane. gud am…i want to make sure na pwede ang pregnant woman sa courtesy lane? lost passport kasi ako…nawala nung na ondoy kami. at single pa status ko sa passport ko… pa change status na din ako. pwede kaya ako dun…thank you i advance. Hi. I heard na allowed ang pregnant women sa courtesy lane. Lalo na kung obvious, what I meant is malaki yung tiyan… 🙂 Kapag nagpa-change status ka, ammendment yung i-apply mo then bring your marriage certificate from NSO. Hi, I have a scheduled family appointment next week. Me and my 6yr old son will renew our expired passport and my 2 yr old daughter for new passport. May I know if we can be accomodated in the courtesy lane? If not, can I bring in a yaya inside the DFA to take care of my 2 yr old daughter? tnx because I am a government employee…HAPPY TO SERVE!!! Hi! I am a single mother and I will get my 6-month old baby a passport. I already got an appointment on June 28 but she needs to have her passport ASAP. Can we use the courtesy lane because I am planning to go to manila next week. We’re from the province. Thanks. Thanks for the reply. Because I’m worried we might not be accommodated at the courtesy lane and they will say just come back on our appointment day. Oops, I am so sorry for I misunderstood what you had said. You will be accommodated at the Courtesy Lane if if you have an appointment for that day, only government employees are entitled for the “no appointment” policy. May I know why your child needs the passport A.S.A.P? As far as I know, applicants applying for passport together with their kids are allowed to do the passport processing at the Courtesy Lane. However you need to have an appointment before you can proceed with the application there. Only those people working for the government are allowed to process their passport application without appointment. Hi, do pregnant women need to apply for an appointment to use the courtesy lane? can my husband accompany me inside dfa? Yes ma’am, pregnant women need to apply for an appointment for passport renewal. However, on the scheduled day of application, you might be prompted by the DFA personnel or staff to proceed to the DFA Courtesy Lane for the processing. Chaperones are strictly not allowed unless you also get him a schedule even he will not apply for a passport. 😀 One more thing, government employees are the only ones who can go to the Courtesy Lane without appointment. Would you know what is the cut-off time of the lane? Is it open from 8 am to 5pm? Thanks! Thanks G-Nang for the very informative posts re-DFA courtesy lane.. My husband and I are both working for the government, and our passports will expire by Nov 2011. We would like to renew our passports this week since we have an upcoming foreign trip by July 2011 (hopefully matuloy)..
thanks for the tips on how to process it.. More power on your site.. God bless!! If you were working at the DFA, you can but if you were not… you cannot. 😦 Your friend needs to set an appointment. even if i am a government employee? anyways thank you for your response..
As a government employee, the only person that you can take there for no appointment application is your parents. If you would accompany your friend even if you are a government employee, the staff would not allow your friend to process his application for you are only entitled to accompany your parents. Nagretire na po yung mom 3 years ago from NPC, pero hindi naman po naka-indicate sa ID niya kung kailan. Malalaman pa kaya yun ng DFA? How would they know if a government employee has retired for not more than a year? thank you so much! Hi! Is the courtesy lane open on saturdays? We are planning to go on June 18, 2011. Thanks in advance. Gud pm. itatanong ko lang po kung pwde kaming mag avail ng courtesy lane sa pagaapply ng passport para sa aking 4 kids ages 1,3,8,13. at pwde ba rin na kahit walang appointment set dahil we need that urgent. tnxs and more power. Hi Jed, you can only go to DFA Courtesy Lane with no appointment if you are a government employee. This benefit can only be enjoyed by those who are working for the government. In your case, you have to get an appointment first. Good luck! Hi G-nang..inapply ko po ang mom ko online so ang sked niya is july 8..ang tanong ko lang po,is yung birth certificate niya, she got a negative result on her birth certicate from NSO, kc daw po sa mga year 1945 negative tlga ang magiging result nila tatanggapin po ba yun sa DFA,kung supporting documents nman niya e yung marriage certificate nila ng Tatay ko and her IDS (senior citizen and GSIS ID)..Thanks po. Hi Marie. As far as I know, kapag new passport application, NSO Birth Certificate talaga ang kailangan. Better to call DFA and ask about the case of your mom. You can reach them at 556-0000 (mon-fri). Good luck! Hi. No need to get an appointment for a government employee like you. Just proceed to the Courtesy Lane through Gate 3 and show your ID. hi! my mom who is a senior citizen needs to be accompanied to process her passport application…. allowed kya ako samahan cia. i already got her an appointment, my worry is baka ndi ako payagan pumasok. …. Chaperones are not allowed kasi. Since your mom is a senior citizen, they may prompt her to go to the Courtesy Lane instead where can she can comfortably wait for her turn on her seat. May waiting area naman outside the building where you can wait for her. If your mom needs assistance, try to ask the guards if you can accompany her. Hello G-nang! My family of 6 including an infant (4months old) has an appointment this coming July. My question is can we all go through the courtesy lane? It would not be helpful if its just the infant and maybe one parent allowed while the others have to take the regular route. That way, the baby would have to wait for mom, dad, brother and sisters just the same. HI! ask ko lng po kung if I can avail of courtesy lane. my father is a retired PNP. I have a AFPSLAI ID myself since I am also a member. hinde pa po expired yung pasport ko may 9 mos. p sya bago ma-expired pero need po s agency ko n me atleast 2 yrs p s passport and asap po n ma renew ko to. can I go to courtesy lane? Hi. Since your father has retired from working to PNP, you are not anymore entitled to use the courtesy lane even though you have the AFPSLAI ID, which is also not a company ID. It would be best if you would set an online appointment now to get the date that would be more convenient for you. Good luck. Hello! I just want to double check, I am applying a passport for my 4-month old baby. I called in DFA hotline and they said we can use the courtesy lane and no need for an appointment. Just go anytime from mon-fri 8am-3pm. Is this true? As I haven’t read any experiences of parents who applied for infant passports w/o an appointment. Thanks so much, G-nang! This is soooo informative…I have a question though… I am a govt employee. Does my husband need to set an appointment before going to the courtesy lane? Thanks in advance… U are much more informative than the guard at DFA! haha! Cheers! I am not so sure if pwede kang pumunta nang hindi mo siya kasama but you can try to have a copy of his ID as well as birth certificate (to prove na anak ka niya) bago pumunta sa DFA. Maybe that would do. Good luck and pakibalitaan mo na lang din ako. Thanks! Good day po. I am working as a college instructor in one of the state colleges in Cotabato Province. Two of my students applied for passport last June 30, 2011 in the DFA Cotabato City for their On-Job Training (OJT) in Israel this September 2011. DFA Cotabato City informed the students that August 11, 2011 will be the scheduled date of their passport release. However, the OJT coordinator in Israel (Agrostudies) informed us that they need the students’ passport immediately to process their VISA this July. Can we ask help through this Courtesy lane to fast track the release of the students passport? The students are government wards (orphans) and all indigent, they are Manabon E. Sante and Jamel R. Guinaopan. Please, help us in this problem so that the students can join the OJT. Ms. Juliet, try to go to the Director’s Office (if there is) and explain the situation of your students. Maybe a request letter from the OJT Coordinator in Israel would help in the early release of your students’ passports. The Courtesy Lane is only for passport application of government employees and their families, senior citizen, pregnant and children. For Senior Citizens, NO APPOINTMENT required. Just download a new form from dfa website. Regards! Hello! We plan to get my 18mo old son a passport. Can both parents go inside to process the passport, or if either one of us goes with him, can another person (like a yaya or relative) go in too? My son is very active and we’re worried about it, since not one of us brought him out of the house alone. He’s really ACTIVE aka malikot. Thank you so much!! As far as I know, chaperones are prohibited inside the building but they can wait at the shaded area near the gate. I think both parents would be allowed to do the passport processing of their kids since the presence of both/either one of the guardians is required. Dear G-nang, I’am planning to renew my passport through Courtesy Lane. I’m government employee (Contractual). I have with me a certification stating that I’am a government employee plus my ID.. But I dont have GSIS.. am I still candidate to avail the courtesy lane? As far as I know only regular employees are allowed but there would be no harm if you try since you have your company ID. Yes, you can use the Courtesy Lane as long as you are with your 17 month old son. You’re mom can also use the lane too but make sure she’ll bring her senior’s ID. do i need to set an appointment to dfa for change status? Yes, you have to. Fee is P100 only. Hi! I’m Gino. I need to have a passport right away. My mother is working at Bureau of Internal Revenue. And I don’t know if this courtesy lane works for me if i would go alone, but I have her certification of employment and photocopy of her ID’s as a proof. And when I download the e passport application form, the information required should be in a written form? Your reply will help me alot. Thanks and Godbless! Yup, you have to download the form, print it and fill it out with the necessary information. My wife would like to update her name and status in her passport. Is that considered a passport renewal? Also, we’d like to get our 5 month old baby a passport too. Can my wife and baby be accommodated at the courtesy lane since my wife will be accompanying my baby? It is open from Monday to Friday. Hi i want po to ask my mother is a public teacher and a senior citizen too and were planning to apply @ dfa pampanga am i allowed to apply in courtesy lane with my m0ther ? Is postal id accepted in applying for passport thanks.! NBI Clearance is only used as a proof of identification. In applying for a NEW PASSPORT, you only have to bring a NSO Authenticated Birth Certificate (original & photocopy) and a valid ID (original & photocopy) with full name, date and place of birth. Check this link for more details: New Passport. hi my mother is a retired teacher and a senior citizen,,,,can she go straight to the courtesy lane?? Please confirm – Can a senior citizen go directly to the Courtesy Lane without an appointment? In an older post here, I read that the senior citizen can use the Courtesy Lane but needs to make an appointment first. In a recent post, I read that the senior citizen can go straight to the Courtesy Lane, but no mention of an appointment. Pls clarify. Thanks for your reply! Hi! As far as I know Senior Citizens need to have an appointment first and on the day of their appointment, they can go straight to the Courtesy Lane. Only government employees can have their passport application/processing with no appointment at all. Hope this helps! hi im currently working at a gov’t agency but as a moa worker.. we are not entitled to have gsis contribution.. but i have my digitized id..entitled pa din ba ako even if im not a regular employee? Hi Sherwin. Only permanent employees can avail that benefit – no appointment for passport processing. According to one of the staff I talked to, a GSIS ID needs to be submitted for identification purposes. Hi… Yung application of extension of validity of passport, sa Director’s Office. New & Renewal of passport application lang ang pwede sa Courtesy Lane. You’ll only be allowed sa Courtesy lane if you would process your own passport application like renewal. my boss is ex councilor his passport was expired can he go straight to the courtesy lane?? what all we need or requirements?what is a requirements of expedite processing he can also go straight to the courtesy lane?? Your boss needs to set an appointment before he can process his passport application. Only those people who are currently serving the government can go directly at the DFA Courtesy Lane with no appointment at all. Hi. Good Day. My Father is Government Employee, he needs to accompany me to apply my passport or just bring his Original & Photo Copy Id’s? Thanks.. If your father could accompany you, why not? But if he couldn’t, I think bringing his ID as well as other identification that can prove that you are his daughter would be fine. Though many here have asked but did not bother to share their experience which leads me and the others like you to nothing. I hope you could go back and share your experience. I am pretty sure and confident to say that bringing documents that would prove your relation to your father would do help you to process your application at the Courtesy Lane. Good luck! Oh by the way, I hope you are still single to enjoy that kind of privilege. :)) Good luck! Thanks god soon ill have my passport delivered in to my house bdw thanks gnang bout the courtesy lane me and my mom avail it and it was a breeze no sweat of falling in line but you must me be a govt employee to fit for this privilege..
Congrats MJ! And thank you for taking time to go back to my blog and post your experience. I really appreciate it. :)) Thanks much! Good day. My parents (both senior citizens) and I will apply for a passport by next week. My mother wants me to accompany both of them at the courtesy lane. Is it possible that I apply my passport with them or do I need to have a separate appointment online? Hope to hear from you soon. Thanks. Your parents need to have an appointment before they can proceed to the Courtesy Lane. They won’t be allowed to get inside the premises of DFA without the appointment. You can accompany your parents only if you are done with your processing because you are not allowed to process your application at the Courtesy Lane. Only government employees can process their applications without appointment at the Courtesy Lanes. Pregnant women and senior citizens need an appointment like the rest but they can process their application at the said lane. we need help G-nang. my passport is expiring in Feb 2012. my dad is an employee of BIR and i need my passport in 5 days. kahit po extension lang ng passport validity, nagbibigay po ba ang DFA? is that even possible? thanks! Hi Yayin. If you need an extension, make sure you have a RT ticket to other country. That’s the only way that you could get an extension at DFA ASEANA. But you can still have the expedite processing of your passport at the Courtesy Lane and wait for 10 days to receive your renewed passport. Kailangan po ninyong magsadya sa NSO para malaman ang proseso sa pag-aaplay ng birth certificate ng nanay ninyo. Hindi ko po sigurado kung maaaring late registration para sa kaso niya. thanks for your post. It was very helpful in our application. I went there with my parents, and the DFA personnel allowed me to use courtesy lane as I was accompanying seniors. True enough it is better for seniors to have an appointment , as the personnel would gladly accommodate them if they can show an appointment schedule. However, since my mother does not have BC, she used the NSO certification of negative BC, but with an affidavit of two disinterested persons. Kaya iyon we have to go back again. goodmorning. my mother is a government employee (NSO) i have an appointment today after lunch (1:30) is this ok? coz i read that government employee will not entertain after lunch. thanks so much. Hi. If you already have an appointment, you’ll be entertained at the processing area at the GF. But if you will process the application of your passport at the Courtesy Lane, I am not sure if they will entertain you because they have a cut off. i have already my appointment before i knew about this. thanks po. Can i accompany my mother-in-law in applying for the passport because she’s a senior citizen & have some difficulty in writing. Thanks! Hi there. It was posted on DFA’s gate that chaperons are not allowed. But you may ask the DFA if they could consider your MIL’s case. hi g-nang! i am government employee. just want to ask, kailangan pa bang magpa appointment ng wife ko kung magpaparenew siya ng passport niya? and.. ia-apply sana namin ng new passport yung baby namin which is only 3 months old.. thanks! btw, i’m planning to accompany them to the courtesy lane..
Yup, your wife & baby need to get an appointment maliban na lang kung government employee din siya. Sad to say, ikaw lang ang pwedeng mag-avail ng Courtesy Lane and your parents. Take any bus na papuntang Manila basta dun ka bumababa sa TRT Taft Station. Tawid ka sa kabila, kung saan naandun ang Metropoint Mall. Sumakay ka ng bus na biyaheng Baclaran DFA tapos magpababa ka na lang sa kundoktor. Katapat lang yun ng Mcdonalds. My tita is a senior citizen but I didn’t get an application for her when I called the DFA. She will be given an application form to fill out when we’re already there? Or should I fill one out now for her? Thanks, I really didn’t understand. Your tita needs to get an appointment first before going to the DFA. The guards won’t let her in without the appointment (will be sent by the DFA through email). Good day mdm G-nang. I am a governemtn employee and my husband plans to renew his passport without prior appointment. Can I accompany him so that we could use the Courtesy Lane being a spouse of a government employee? good day po mdm g-nang tnung ko lg po kung pwd po postal id sa dfa bali po kasi ang requirements lang po na madadala ko po ay nbi,baptismal,nso un lng po tnung ko lang po kng ok nah po bah un? 1st time ko po kasi salamat po..
pwede po ba isama ang sis-in law sa courtesy lane? tia. Isasama mo ang SIL mo as chaperone? Bawal kasi ang chaperones in DFA premises, they can wait for you sa alloted area near the gate. we went to the dfa nung 19 together with my son 4 months old and my husband, with my cousins and nephew.. sobrang bilis namin ang appointment time namin eh 1 pm, by 12:30 andun na kmi at pinapasok na. pumirma lng ako dun s me desk na family at nilagay yung name namin.. magrerenew kc ako tska kuha ng new app ung baby ko at husband ko. yung 2 pinsan ko naman together with their son and daughter na minor about 15 years old ang age. sabi ng guard sakin na sa courtesy lane daw ako kc may baby ako. pagpasok namin nakita ko yung mga pinsan ko andun s baba s loob na ang daming tao. sabi ko sumama na lang sila sa akin, kc family naman kmi so sinama ko na sia. pg akyat namin eh 2 numbers na lng at kami na ang tatawagin. after that without any question tinatakan na yung appointment slip namin. kinakabahan nga ako at first kasi postal i.d at nbi.old lng ang dala ng asawa ko together with the school i.d nya dati sa letran, at inattach ko na din yung slip na nagpavoter’s registration kmi..wala pa kming i.d nun. tpos after dat nagbayad na ako tapos picture na. bago nung hihingi ng ako ng que number for picture eh kinausap ako nung mama ang sabi bibigyan nya daw ako ng mas maliit na number kasi 400+ na daw, eh kc may baby ako so binyan nya ako ng number cgro mga 30 na tawag kami na tpos ang bilis lng kc saby saby yung munber s screen. pagtpos na mapituran kami eh ok na deretso na ako sa kabilang room ulit for delivery kc mas convenient yung magpadeliver na lng 120 pesos lng naman galing LBC tpos eh nationwide na yung delivery nila.. so irerelease yung passport namin ng by jan 31. eh pinadeliver ko so feb 1 ko na daw makukuha.. by 1:30 tapos na kami at nag moa na.. thank tlga sa baby ko kasi ang bilis namin.. Ask ko lng po kung ilang days po ang releasing ng passport pag sa courtesy lane? thank you very much…. bryan aban. Bring original and photocopy of NSO Birth Certificate, valid ID. Hindi ko sigurado kung i-hohonor nila yung barangay ID mo. Kung may voter’s ID ka, mas maganda. G-nang pero po i-honor nila ung barangay i.d ko to prove that i am a barangay councilor?para makapasok ako sa courtesy lane. pag wala na po akong valid i.d pede po kaya police clerance? thanks po.. bryan..
Hi. If family application, I think possible na payagan ka with your sc mom na mag-process ng application sa Courtesy Lane. People there naman are quite considerate. One of the readers here commented that they (her family together with her relatives) were allowed to process their application at the Courtesy Lane because she was with her baby who was also applying for a passport. You may go straight to the Courtesy Lane, it’s located at the second floor, in the other side of the building fronting Gate 3. But you can get inside the main building and head to to the next building. Thank you. I was wondering why your comment was at your profile but anyway, since you’re a government employee, you can process your application at the Courtesy Lane on your appointment. Make sure to bring your government ID to prove that you’re a government employee. 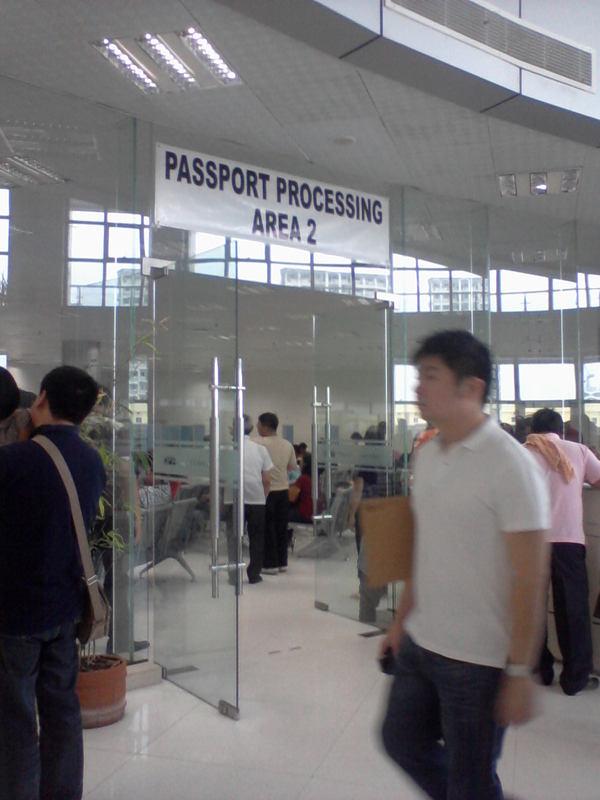 I think your passport will be released within 10 days since the processing at the Courtesy Lane is expedite or rush. You may state “lost passport” as a reason for getting a new one. But make to bring an affidavit of loss. Hope this helps! my grandma lost her passport or misplaced and it is already expired.. what are the rquirements needed to have her passport renew? do we need to bring her at the dfa office she is almost 80yrs of age. Yes, your grandma needs to go to the DFA office to process her application. You need to set an appointment first then she can process her application at the Courtesy Lane through your help. Bring an affidavit of loss and valid ID. I;m lucky that I am a government employee, imagine in 30 mins natapos ang processing ng passport ko. Thanks a lot for having I courtesy Lane no need to absent for the whole day to renew my passport. Oh, I thought naman yun ang gagamitin mo as valid ID. Yes, you can use your barangay ID to prove that you are a barangay councilor. But aside from that, you need to present another ID (driver’s license, prc license, postal ID) for passport application. government employee po ako, at meron ako niece na iniwan sa akin ng ate ko, both parents are in texas, she needs passport renewal kc kukunin na sya ng ate ko, i.m her guardian nya at i have SPA from my sister..is it ok to bring her at the courtesy lane/ THANK YOU. Based kasi sa post na nakapskil sa DFA Courtesy Lane, only the parents of a single government employee are allowed. But based naman sa post ni Bugz, nakapag-apply daw ng passport yung kapatid niya through her sister na government official. But if your niece is a minor, papayagan naman kayo siguro. There are times kasi na pwede, sometimes naman hindi. Medyo magulo din kasi yung mga guard. is barangay ID, valid for dfa? they dont accept postal tin or philhealth why? Postal ID was not considered as valid ID?! I don’t have any idea why it’s not valid. Barangay ID – means what? Are you a barangay official? It would be better to bring your voter’s ID, I believe you have naman right? Here are some of the valid IDs that you can use: NBI Clearance, Drivers Licence, SSS ID or PRC ID. Meron bang NBI ID? Ang alam ko lang is NBI Clearance eh. Wala ka na bang ibang ID aside sa old school ID? Voter’s ID mayroon ka ba? wala pa nga po akong voters id, mtagal na kasi ako di nakauwi sa min, yung sss id ko mtagal pa po yun marelease sabi after 6 mos pa. ang merun ako old school id from college, nbi clearance, high school diploma, birth certificte from nso, baptismal birth certificate from local civil registrar,, merun po akong id last 2010 pa nung ngatrabaho po ako bilang saleslady…accepted po ba yun? salamat po. Cge po salamat talaga…try ko lang po for the second time pupunta dun…God Bless po. mercy,nkakuha knb ng passport?kc gnun din case q seo eh.postal id lng meron aq.ng email aq sa dfa.d daw consider un as valid id.so i cancelled my appointment.kainis!sna tom na. hi g-nang! i’m from bulacan and a government employee working in quezon city. i’m planning to have my kids passports renewd this monday. can i have these renewed in pampanga? does dfa pampanga have a courtesy lane for gov’t employees? thank you very much! I am not sure if DFA Pampanga has also a Courtesy Lane kasi I am from Manila. 😀 Try to call DFA Pampanga na lang. hi! i’m a gov’t. employee and i had the passports of my children – all minors – renewed today and i just would like to share our experience and share some reminders. we availed of the courtesy lane – it was indeed a breeze! the dfa employees were all very respectful and accommodating! A. fill-up an application form – NO NEED TO DOWNLOAD the form as they won’t honor those. they’ll let you fill-up the form stamped “COURTESY LANE”. C. proceed with step 1 – wait for your number to be called and proceed to the window. your documents will be checked; old passport will be canceled and you’ll be issued a receipt. D. proceed with step 2 – go to the cashier and pay P1,200/passport. it’d be best if you have the exact amount ready. E. proceed with step 3 – picture-taking and data validation. as a gov’t. employee, we didn’t line-up for the number but instead we were told to proceed to counter numbers 45 to 50. just hand over your documents – except the paid receipt/s – and wait for your name/s to be called. F. you’ll be checking with the dfa employees as they enter your data on the computer and make sure that all entries are correct and you’re done! H. if you wish to have your passports delivered, just proceed to the express delivery station and pay the amount – i think it’s P120.00 per passport. I. if you wish to pick it up personally, just claim it on the date indicated on the receipts – usually 2 weeks after you applied – and don’t forget to bring the receipts with you upon claiming. i hope this info helps so we all can have a hassle free and convenient dfa experience. Not sure about this but maybe you could try. Update me of the result so that others would be informed. Thanks! hi, i have an appointment on may 10, with my 10 months old baby. I’m 9 months pregnant and I’m not sure if i’ll still be able to wait until may 10, can i go directly without an appointment? thanks! People who can only go to DFA with no appointment are those who are working from the government, so if you’re a government employee you could go there with no appointment at all. But if you’re not, go there on May 10. You can process your application at the DFA Courtesy Lane since you’re pregnant and you’d with your 10 month old child. Hello Ma’am, this has been asked previously but did not got updated… so I am wondering if you have any updates. My mom is a government employee, obviously she has to go to work, is it possible that I apply for passport through courtesy lane without her and just bring photocopies of her company and GSIS IDs? I just want to make sure before I ask her to take a half-day leave or so just to accompany me. Was your mom working the government before? If not, I think it would be better if you could ask your mom how she was able to get in without an appointment. Because as you get in the gate, the guards ask for the appointment slip and check the schedule. They do not allow anyone to get in without an appointment. hello, i’m about to use the courtesy lane tomorrow, thu, with my mom, who is a government employee, is there a way na by monday ay makuha ko na passport ko? I have a letter with me stating my reason for me expediting my application, basically it says that i’m about to replace my co-author in presenting our paper in an international scientific conference, because of her family problems. My scheduled flight is by tuesday. please reply asap, thanx! Hi G-nang! My husband is a government employee and we are planning to renew our passports this coming week. What documents do we need to bring…(by the way, we just got married last year)? Hi G-nang. Wish you could help me with my simple inquiry. Ive been trying to contact DFA but line is always busy. My concern is about my MRP (Maroon) passport which will expire on 2016 yet. I need to make an Amendment (there is a page for this in my passport) — to change my maiden name and use my husband’s surname. He is an American and I will be migrated to the US soon. My question is, do I need still to make an appointment with the DFA or do I go there directly? Thank you so much. God bless you. Hi. I am no expert when it comes to this. I just shared whay my hubby and I experienced a year ago when we went to Singapore. Please check this site for more information about your inquiry. http://www.citizenservices.com.ph/dfa/index/ Thank you. is this blog still active?gusto ko pa kasi malaman if pwede mag-apply ng passport for my newborn baby sa dfa batangas city?thanks po! ang problem is wala po akong valid ID kahit isa. pwede na po ba ‘yung nasa itaas na mga requirements? need ko po help nyo. I think pwede na siguro yung nbi clearance saka yung high school id mo. hello there, good day. wish you could help me po in my query. my father is an active member of the Armed Forces of the Philippines (AFP), particularly Phil. Air Force. Can we avail the courtesy lane in our application for passport? i”m already 25 yrs old, and my other siblings are 20 yrs old and 19 yrs old. all of us are still single (unmarried). thanks po. Yes, you can. If your father cannot accompany you, you may bring a copy of his id to prove that you are his children. Hi G-nang. I already have settled an appointment for my passport application online and that is tomorrow, 4pm. I just learned today that there is a courtesy lane for gov. employees and i am a public school teacher. Tomorrow, can I just go to the courtesy lane even if I already have settled an appointment online? Your reply will be a great help. Thank you in advance. Hi, my response might be too late but yes, you can still go directly at the courtesy lane. Do not forget your gsis or school id.